We’re Giving Away $3,000 to Six Top Emerging Translators! Submit to our contest for emerging translators today! With just two months left to the deadline of Close Approximations, our annual international translation contest, there’s still time to polish up your translations (especially of female authors, since we’ve just entered Women in Translation Month) and submit to our contest! Awarding a total of $3,000 in prizes to six winners this time are Edward Gauvin (Fiction) and Eugene Ostashevsky (Poetry). 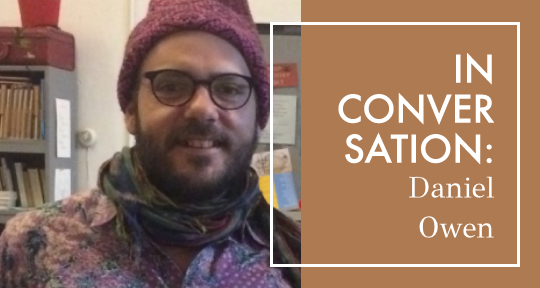 Entrants have until October 1 to submit their work for a chance of winning up to 1,000USD, in addition to publication in our Winter 2019 issue, joining a roster of translators we have published that includes J.M. Coetzee, Lydia Davis, Michael Hofmann, and Jennifer Croft. We are encouraging early submissions by taking 15% off the entry fee for contest submissions on or before September 1. 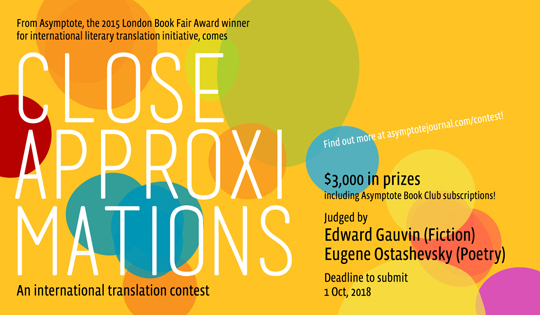 To further pique your interest about the contest, here’s more about our wonderful judges and what they think of translation. 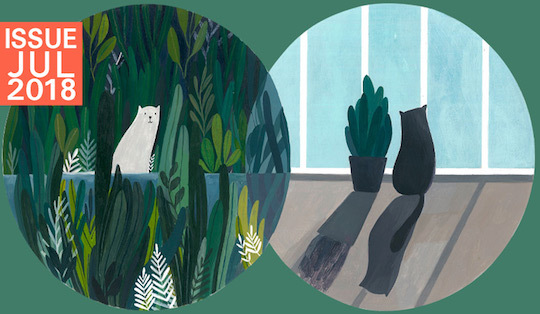 Introducing our thirtieth issue, which gathers never-before-published work from 31 countries! We interrupt our regular programming to announce the launch of Asymptote’s Summer 2018 issue! Step into our bountiful Summer edition to “look for [yourself] in places [you] don’t recognize” (Antonin Artaud). Hailing from thirty-one countries and speaking twenty-nine languages, this season’s rich pickings blend the familiar with the foreign: Sarah Manguso and Jennifer Croft (co-winner, with Olga Tokarczuk, of this year’s Man Booker International Prize) join us for our thirtieth issue alongside Anita Raja, Duo Duo, and Intizar Husain, and our first work from the Igbo in the return of our Multilingual Writing Feature.